Watch out Katrina Kaif's adorable Instagram post, her early morning avatar is a delight! Katrina has decided to tickle your funny bones as the actress shared a series of pictures claiming that this is how she got out of bed. Katrina Kaif has finally mader her debut, no that's not what you think. The girl has finally made her debut with Instagram and being a 3 day old she already has crossed millions of followers. Social networks have become a rage among Bollywood stars as it is the only place where fans have the access to directly get in touch with the celebritites. Her first insta post created a lot of buzz in which the actress posted a beachfront view and another post reflected the actress in a steamy hot towel avatar. 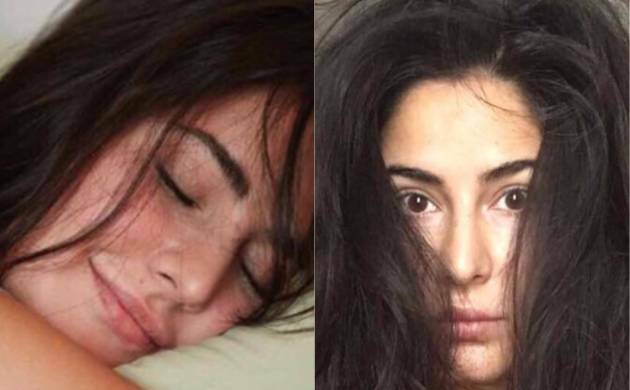 Well, now Katrina has decided to tickle your funny bones as the actress shared a series of pictures claiming that this is how she got out of bed. While the first picture shows her cutely smiling for the camera with her eyes closed, the second one hilariously shows her in a wide-eyed state with her hair completely frizzy and messed up. Well, Katrina no matter what, you still look like a diva to us. The actress had received lot of welcome messages from her fellow actors but this cute message from Ranveer Singh is going on the rounds. The actor posted a dubsmash video from his Instagram handle for Katrina which indeed is funny.